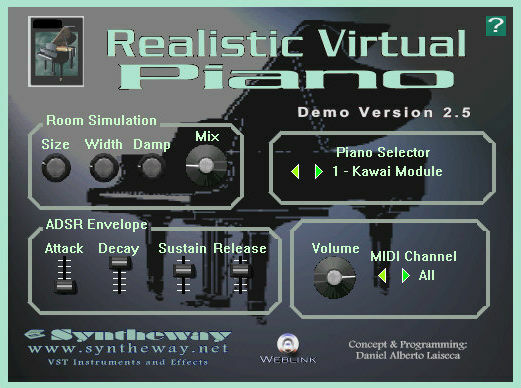 Syntheway has released version 2.5 of Realistic Virtual Piano, an acoustic grand piano emulation for Windows. Particular care has been taken in the reproduction of the original realism and touch response of a Kawai and Yamaha Grand Pianos. The result is a delicacy of tone and expression that emulates the experience of playing a real acoustic grand. Added new Yamaha Grand Piano module. 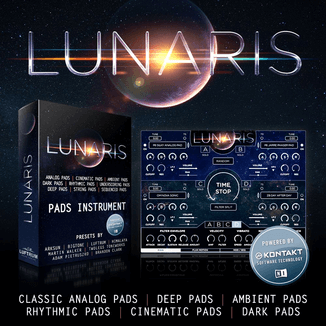 Kawai Grand Piano module has been totally re-sampled and the octaves have been corrected. Added Piano Selector option in GUI. Minor adjustments in GUI as well as in default parameters. 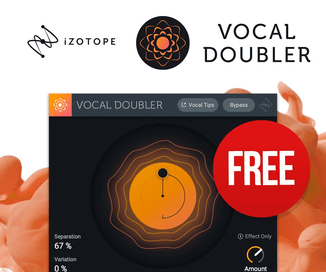 Realistic Virtual Piano is available as a VST instrument for Windows PC for $35 USD.